If you’re alive right now with access to the Internet, chances are you’ve seen this latest productivity craze known as a “bullet journal.” Bullet journals are, for the most part, freaking amazing tools that would have saved me a lot of time and frustration thirty a few years ago. I myself have been using the paper-and-pen form of a bullet journal since 2015, and it has completely changed my life. Okay, maybe not my life — but it’s certainly changed the way I organize it. And, yes, I do believe that pen-and-paper methods of tracking and planning still have a place even today with so many people tied to their digital technology. However, I cannot deny the convenience of having a digital bullet journal. 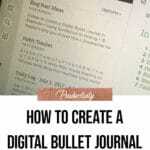 So, I am going to show you how you can create a digital bullet journal using a free service called Evernote. A bullet journal is a completely customizable system of organization to track and plan anything you want. I have always been a lists and planners person. To-do lists, task lists, goals lists… you name it and chances are I had it on a list somewhere. But, my problem was most of the planners out there, well, sucked. They always either had sections I didn’t need at all (mileage trackers, inventory trackers), or their daily agendas were completely restrictive (who only lives from 8am to 8pm?). At one point in time I bought three different planners, ripped out the sections that I needed from each, and stuck them together in a binder. And while I used that binder and it suited my needs, what a waste of money (not to mention how bulky it was). So when I discovered the bullet journal system, it didn’t take long (one 4 minute video) for me to hop on that bandwagon. First, I am in complete control (and what control freak wouldn’t love that?). I choose exactly what I want to track, exactly what I want to include, and what I want to exclude. 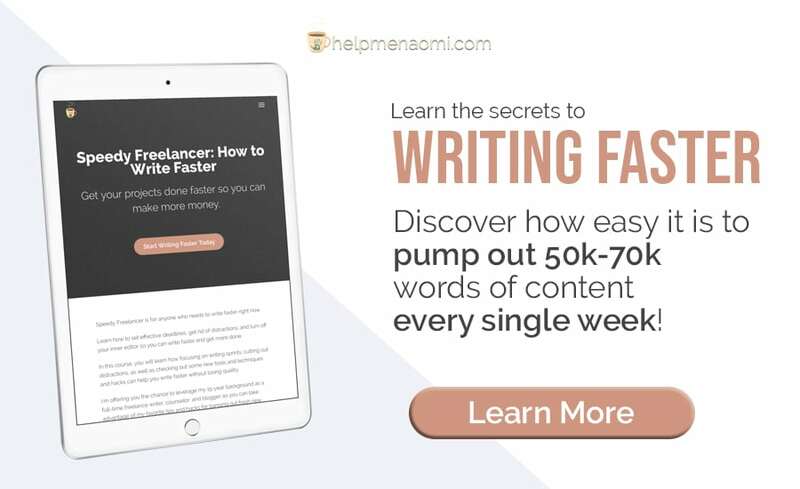 Ideas, motivation, word count tracker, plot development worksheets, habit trackers, plus to-do lists and events schedules. And the best part is if I can’t get to something to scratch it off my list — I just reschedule it. Completely forgiving, no pressure, and no need to feel like I’ve failed just because I couldn’t do it all. 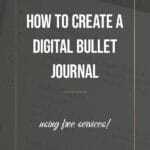 Why use a Digital Bullet Journal? 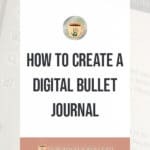 So, if pen-and-paper bullet journals are so wonderful, then why bother to create a digital bullet journal? To be honest, it didn’t dawn on me that I would even use a digital bullet journal at first. And then I forgot to bring my journal with me several times within just a few weeks. That’s when I realized — I love my pen-and-paper bullet journal, but I’m much less likely to forget my phone than I am to forget my journal. Especially during those times I’m running out the door trying to make sure my toddler has everything she needs. And by the time I’d get home, I found I was still scraping bits of scrap paper from my pockets looking for blog post ideas, events, and obligations that I had scribbled down and needed to transfer to my bullet journal. And, inevitably, several ideas were lost. Having a digital bullet journal has changed all that. I still keep my pen-and-paper bullet journal, but adding the digital aspect has helped me keep more organized when I’m away from my journal. And although I still use both, I know plenty of people who would lean heavily on a digital bullet journal (so much so that they would likely stop bothering with a pen-and-paper version all together). Is there a Downside to a Digital Bullet Journal? One of the major draws of a Bullet Journal is in the colorful and creative ways you can add in headlines. Some people go all out, buying fun pens and learning how to draw them in and filling their journals with doodles. And it is a lot of fun. 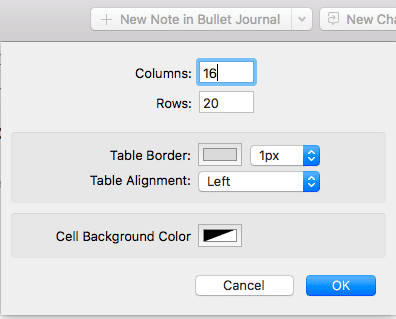 But when you create a digital bullet journal, it’s a little harder to get those fun banners in place. And there’s really no place to doodle. If you’re a journal minimalist (like me), then it probably won’t bother you all that much. I like my lists and my simple headlines with some washi tape along the edges to separate the sections and that’s about it. But for those of you who put a lot more thought and planning into your headings and doodles, the digital bullet journal may not work out quite as well. But it’s not like you have to forego all colorful creativity when you create a bullet journal. I’ll show you in this tutorial how you can create basic banners to use in your digital bullet journal. From there, you can get as creative as you like. 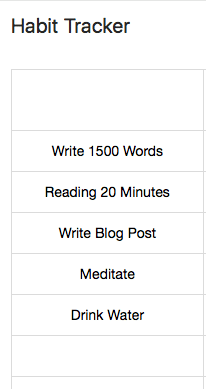 A basic idea of what you want to use the digital bullet journal for. 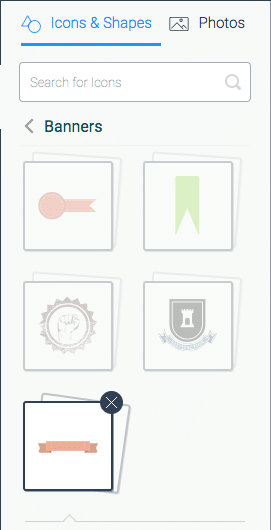 A free account over at Evernote. The desktop client for Evernote (some of these steps can only be done in the desktop client — not on the web interface). 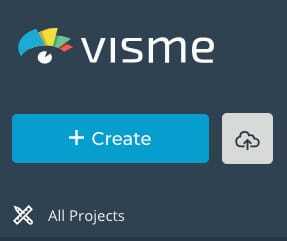 A free account over at Visme (if you want to use banners in your journal). Step One: set up two new Notebooks in Evernote. As the name implies, this is the notebook you are going to use to house your active Digital Bullet Journal. If you don’t feel like creating things like calendars and the like on your own, you can go out and search the Internet — there are all sorts of calendars and to-do list templates available for you to download. 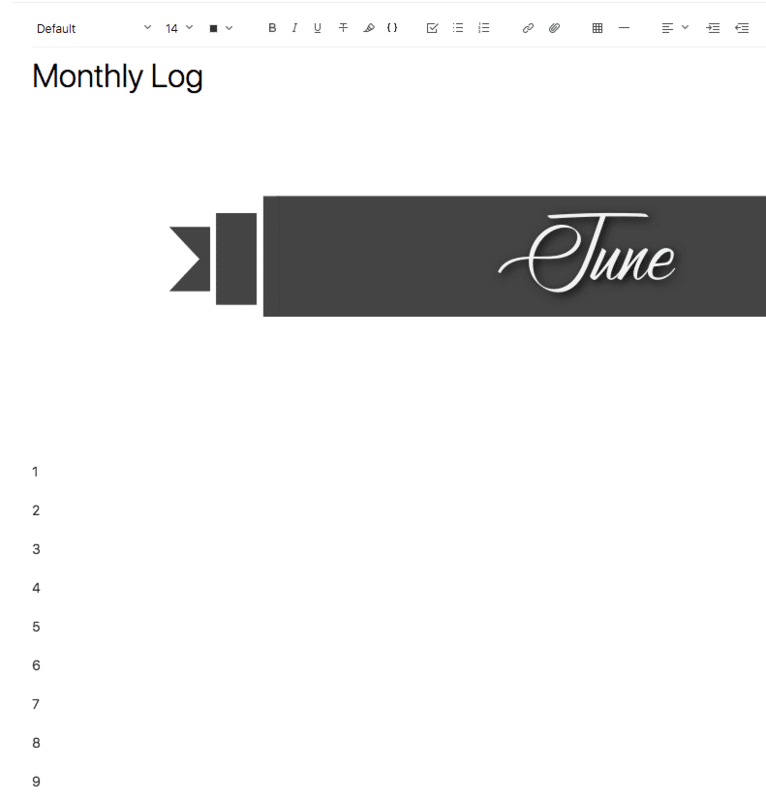 For us, we are going to use the Templates Library to create a template for the Monthly Log (you’ll see why in a minute); everything else we are going to create directly in the Bullet Journal notebook. For the Future Log, all you really need is to list the month’s names. Use as many as you like. 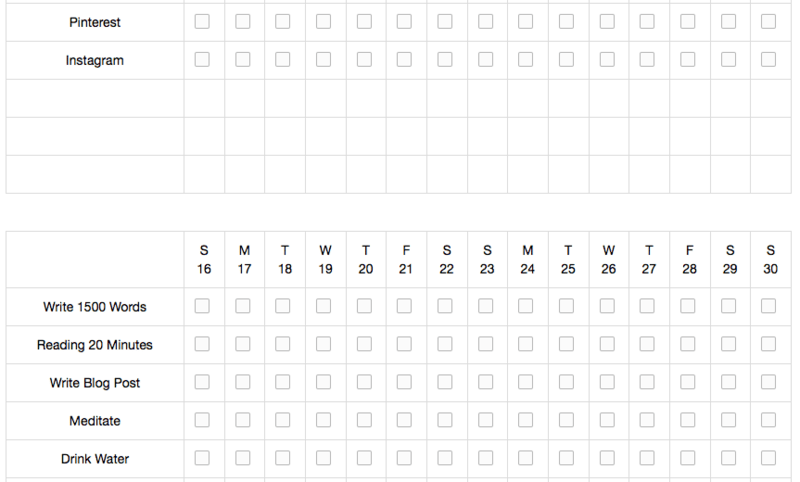 You can also insert divider lines to separate the months if you like. This isn’t really necessary, but it helps give a little bit of separation and keeping everything nice and clean. To Use: This is going to be where you log future plans. Things like conventions, book releases, NaNoWriMo. You can also list your major goals and deadlines. At the end of the month, anything you have not marked as “completed” you can decide whether or not to move it to the next month. Then, delete the entire month (so your next month is at the top of your log) and keep going. 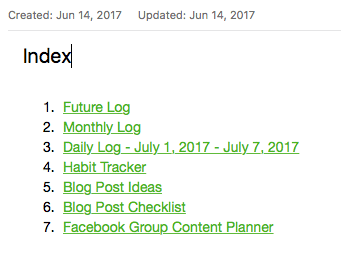 After the Future Log, most people like to include a Monthly Log, which gives us a closer view of our month and weeks. However, we don’t want to have to create hundreds of these. 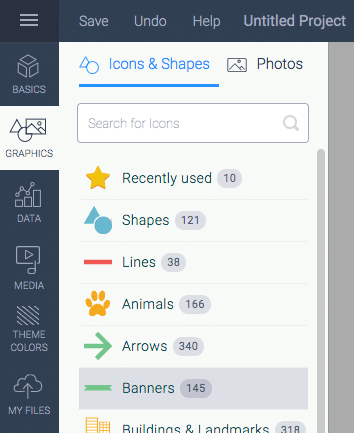 So rather than simply creating a new notebook, we want to head over to the second notebook I told you to create, the Templates Library, and create a new notebook in there. 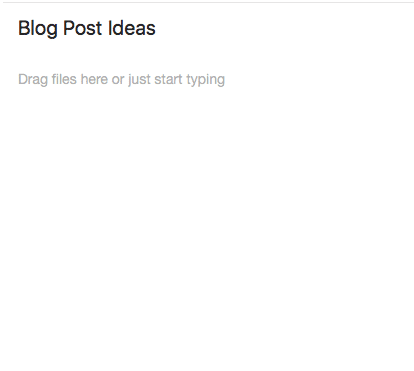 And, I also want to use a nice banner at the top of these notes…so let’s do that. The free version of Visme has a huge list of fonts you can use for free. But what I really love about Visme is that if you happen to be on the paid plan, you can upload your own fonts and expand your possibilities even more. And for branding purposes, that’s amazing. You can also use this method to create any other banners you might possibly want to use in your bullet journal. Create them for every tracker you plan to add into your digital bullet journal. Once you’re done, you can leave Visme and head back over to Evernote. 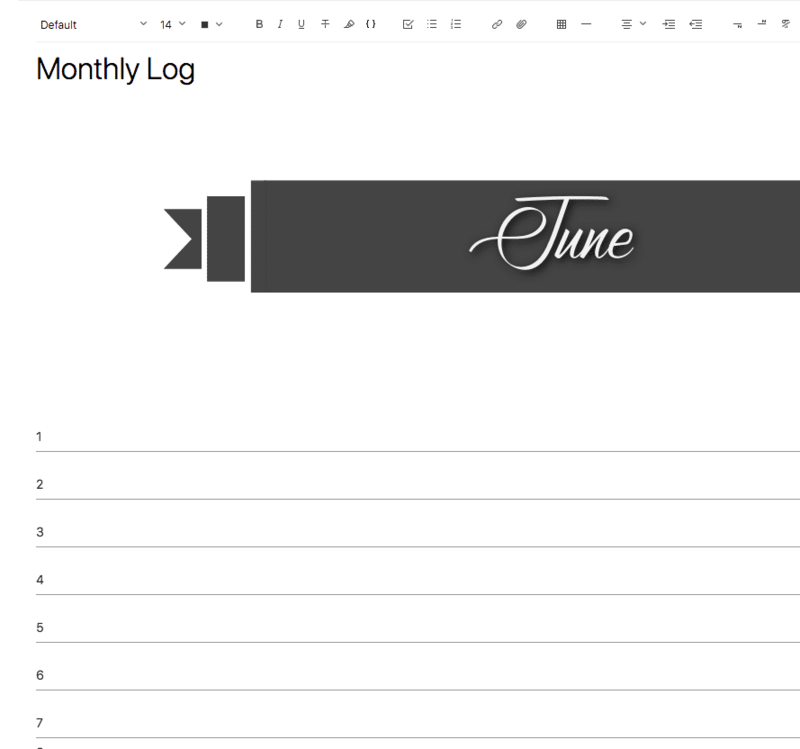 And that’s it — your Monthly Log Template is done. Delete the banners for the months you don’t need and you’ll be good to go. You can have more than one monthly log in your bullet journal notebook — just be sure to change the title accordingly (July Log, August Log, September Log, etc). And you can add in the days of the week as you need to. What I like about this method is that it makes the template so reusable. 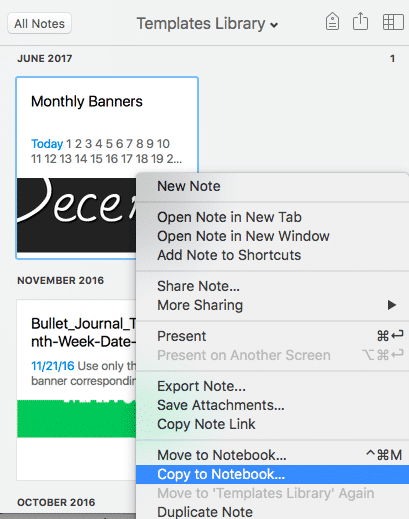 Instead of having to create all new notes every time you need a new monthly log, simply copy your template and delete the unnecessary banners and you’re done. Use your monthly log for your mid-sized goals (for example, if your Future Log includes an ultimate goal of releasing your new book in December, then your monthly logs will include the smaller goals to help get you there, such as editing, proofreading, contacting reviewers, cover art, etc.). To Use: As you might have guessed, the daily log is to help track and organize your daily agenda or to-do lists. 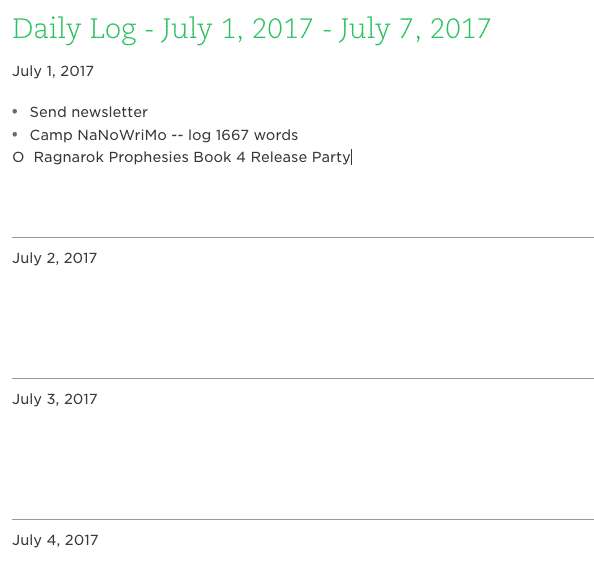 Of course, if bullet journals were all about daily, monthly, and future logs, then there’d really be no point in them, right? You can find agendas and planners for that. What really makes the bullet journal special is all the little extras that you can create and include. 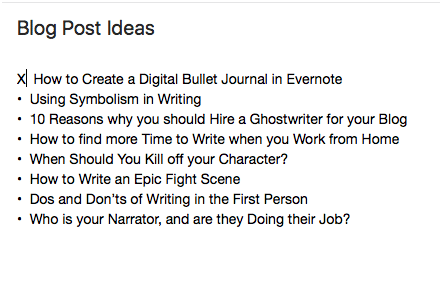 So let’s go ahead and create a couple of those little extras that you might think about including in our bullet journal (this is not going to be an all-inclusive list, obviously; but it should give you some ideas. By all means, feel free to use these as a starting point for your own special extras). Or you can create your own legend, something unique to you (and yes, you can even keep your legend as a separate note inside your notebook so you have it for easy reference). 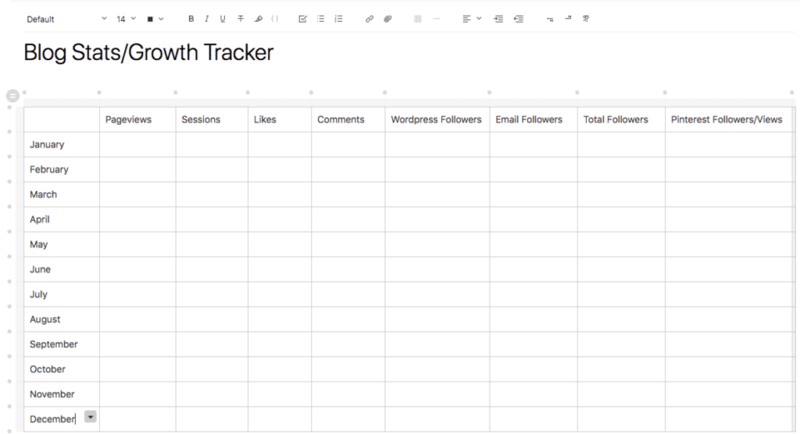 There’s one thing that is absolutely certain when it comes to writing and blogging: you absolutely must track everything if you’re going to be able to see any progress. Especially if you’re still relatively new. From a branding perspective, blogging and establishing your presence on social media is imperative. But from a marketing and budgeting perspective, being able to prove any return on your time and effort can be nearly impossible unless you’ve got a good tracker. Here, I created one to use for Facebook — but really, you can create a new log for every social media channel you’re on. (And in the case of Facebook, you can even have one per page and per group). 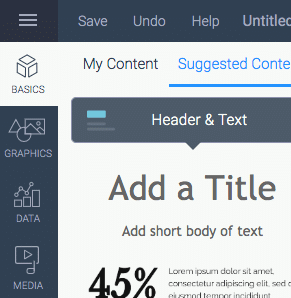 Create your note, then insert a table. 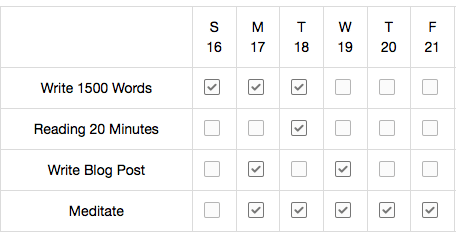 Down the first column, type in the days of the week; and along the top type in your primary categories (remember, you want to plan out your content so you are interacting with your readers more than selling to them, so keep a good mix of post types to help you do that). You can also create a more traditional calendar spread, if you like, and add in the posts that way. Either way will work. I prefer this way because it gives me a more in-depth look at the type of content I’m posting. Having a place to record our goals and what they mean to us is vital for our own motivation to work to achieving them — so why not add in such a place to your new digital bullet journal? Then add new rows and fill them in as you need to. Don’t forget to check off the steps in your action plan every time you get another step closer to reaching your goal. Doing so will help keep you motivated and ready to work some more. One of the major draws toward a Bullet Journal is the ability to create and maintain a “Habit Tracker.” Any habit you are trying to build into a routine (or cut out of your routine) can be logged easily every month. 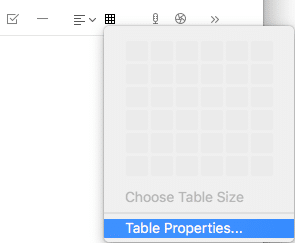 For this, you are going to need to use the desktop client for either Windows or Mac because of the size of the table you’ll need to create (you can create a table using the website, but you will be restricted to only 6 x 6; and for this you want 16 columns times up-to-you-many rows. When you’re done, copy the entire table and paste it just below, so you’ll have two tables in the same note. Change the dates in the second table, and you may need to add in another column for those months with 31 days. And that’s it, you’re done. As you may have guessed, you can create a note for just about anything you want to include in your new digital bullet journal. 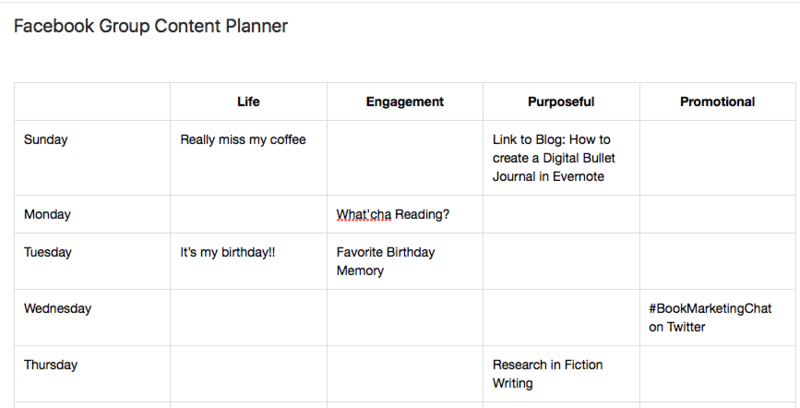 So go nuts hunting down ideas on Pinterest (that’s where I find most of my bullet journal ideas) and for any spread you find, you can create a note and add it into your digital bullet journal with just a little tweaking. Now, remember earlier I said we were going to skip the Index for a bit? That’s because we want to add it last, after all your other sections have been created. 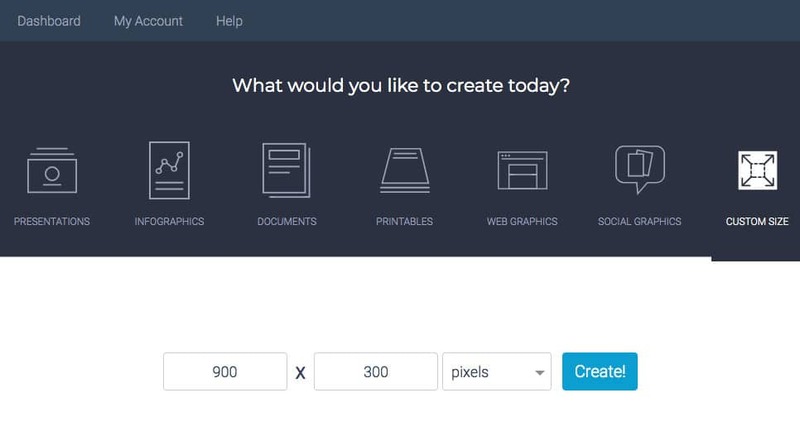 To create your Index, go into the desktop client (again, this feature does not work in the web interface) and open your bullet journal notebook. 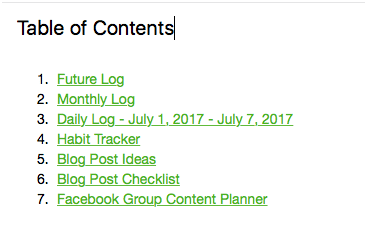 Evernote will create a new note inside your notebook titled “Table of Contents.” It chooses the order of your notes based on whatever order they happen to be sorted in by default at the time you highlighted them. 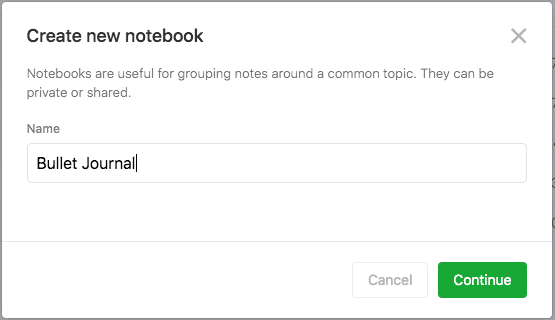 I wish there were a way to manually sort your notes inside a notebook, but unfortunately Evernote still does not support that feature (no matter which interface you use). But with some ingenuity, you can force it to change the default order. Working back to front, go into each of your notes and make a small change. 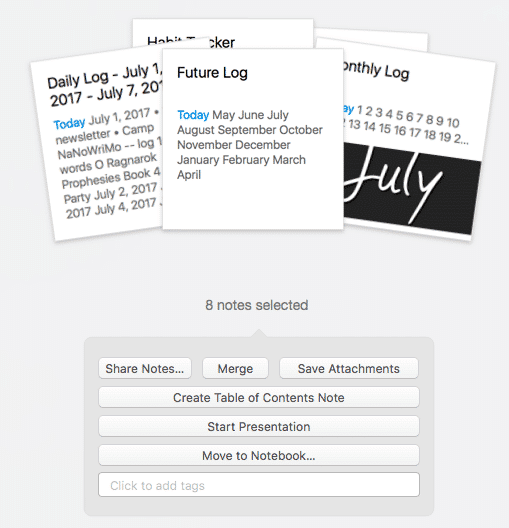 Evernote will then sort your notes by modified date, meaning the last one you edit will appear on top. Then rename your note to “Index.” If you want, you can also rearrange the list of links inside the Index, simply cut-and-paste and place them in the order you want them to appear. Congratulations on your new digital bullet journal!! Now, whenever you’re on the go, you can easily add tasks, check off your habits, stay motivated, and even add to your lists easily using Evernote‘s mobile app. And with just a few minutes at the beginning of the month to copy any templates or change around a few dates here or there, the overall maintenance of this bullet journal is going to be super easy (and just think, you won’t have to continue buying those paper journals, unless you’re like me and still really want to use them, too). 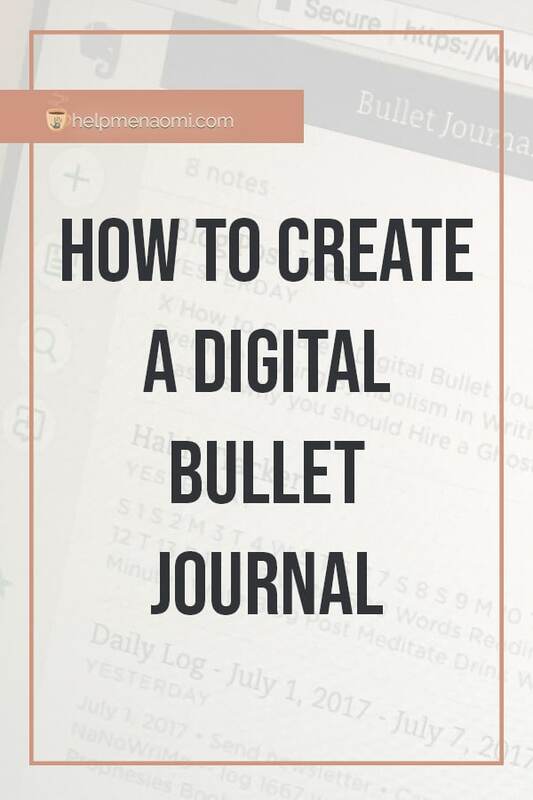 What sorts of sections will you be placing into your new digital bullet journal?